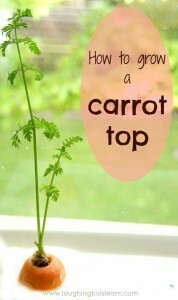 You might remember that I recently shared how to grow a carrot top. It was such a success I couldn’t just stop there. I decided to give a lettuce stalk a go. Honestly, I can’t tell you how easy this was to grow. It seriously started to show signs of renewed life after the second or third day! 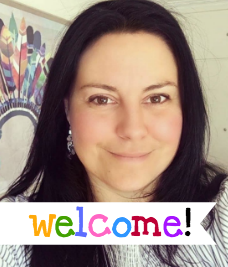 If you’re looking for a simple growing activity to do with children that will have them observing change quickly then this is for you. 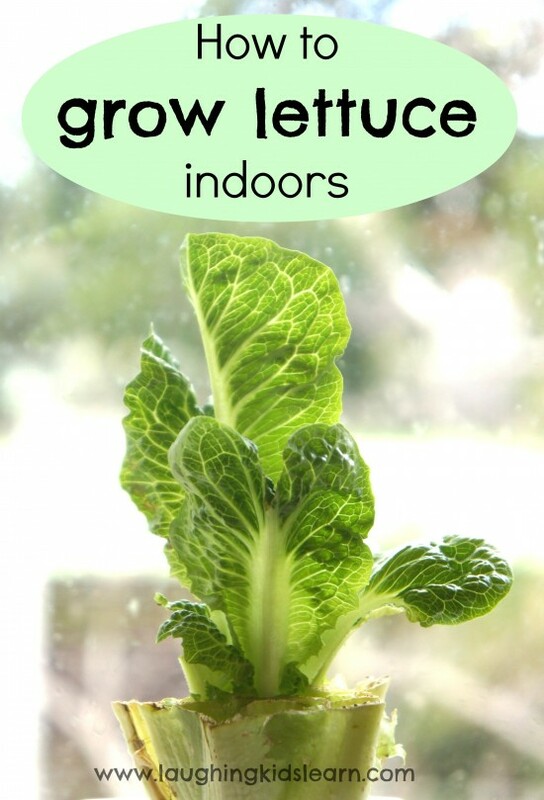 Let me show you how to grow lettuce indoors with kids. I simply reused the stalk of a cos lettuce that we’d eaten as part of dinner that night. Ensure you cleanly chop the stalk so that about 3cm of its height remains. 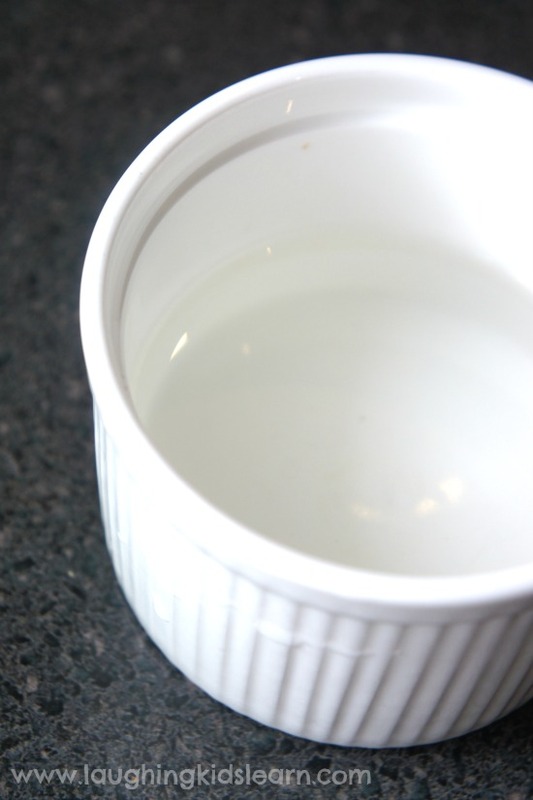 Place the stalk end into a dish of water so that it’s upright and not floating. I had about 1.5/2cm deep of water in our dish. Place in a nice sunny position, such as a window sill, and enjoy talking about the changes you can see with your children. It took me by surprise how quickly the stalk of the cos lettuce was growing. I did change the water after a few days to ensure that it was clean and would continue its maximum growing potential. Possum (aged 2.5 years) would run to the window sill most mornings and ask to see any differences. It was so wonderful to talk about how things grow and be able to show Possum the small roots that began to appear after a few days. This really did turn into such an educational and interesting little experiment that I’m glad I tried. By day 15 the lettuce had grown considerably! Its leaves looked really healthy and such a vibrant green in colour. 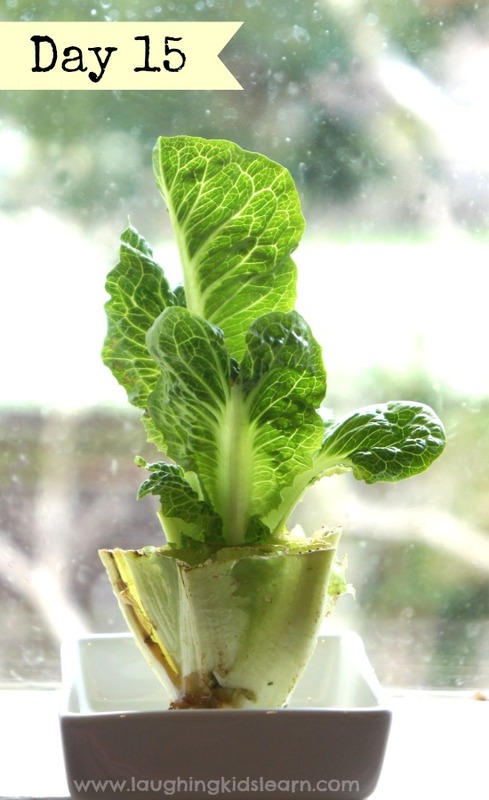 It would be wonderful to suggest children note the daily changes observed when growing lettuce indoors. 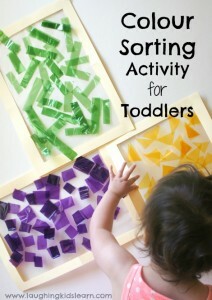 This activity would also be great to have children predict it’s growth and make comparisons. I decided that we would go about eating the lettuce, which is actually something Possum would avoid if found on a plate. I wasn’t too sure what to expect and was quietly not so hopeful. Possum isn’t a particularly fussy eater but for some reason lettuce has never appealed to her. 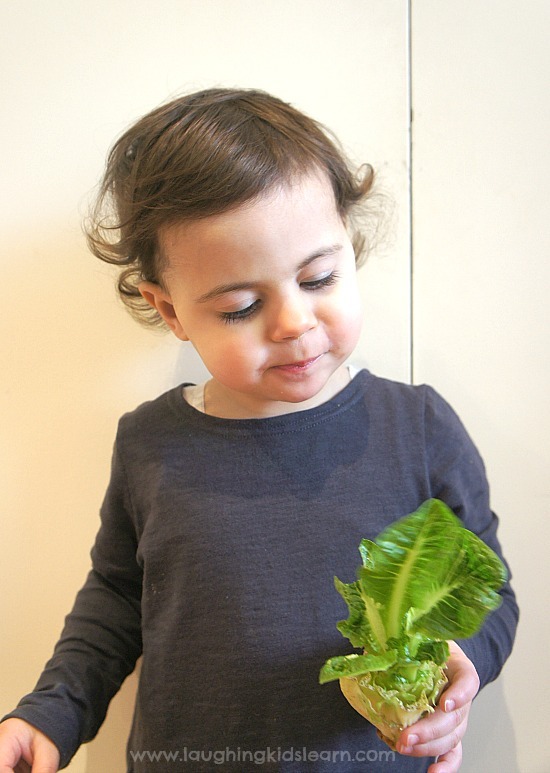 Would your child enjoy growing and eating lettuce? 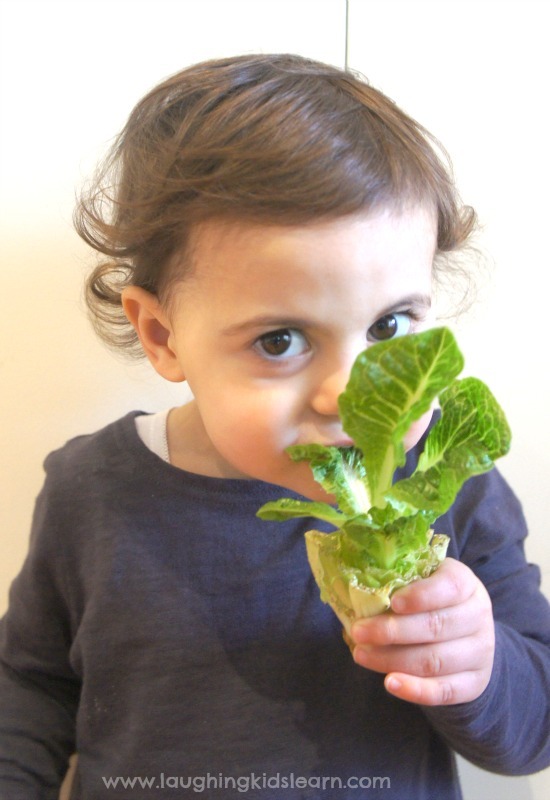 What an easy way to get kids involved in growing their own food! I’ve done this a few times and it seems like several weeks of growth gave me enough for one sandwich, so I stopped doing it. 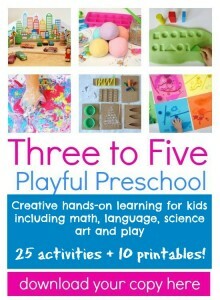 I haven’t thought about doing it with my preschool. We just did our plant theme and this would be perfect! Thanks. Thanks Natali! This idea might be worth remembering for the next time you do your planting unit of work. Kids love it. 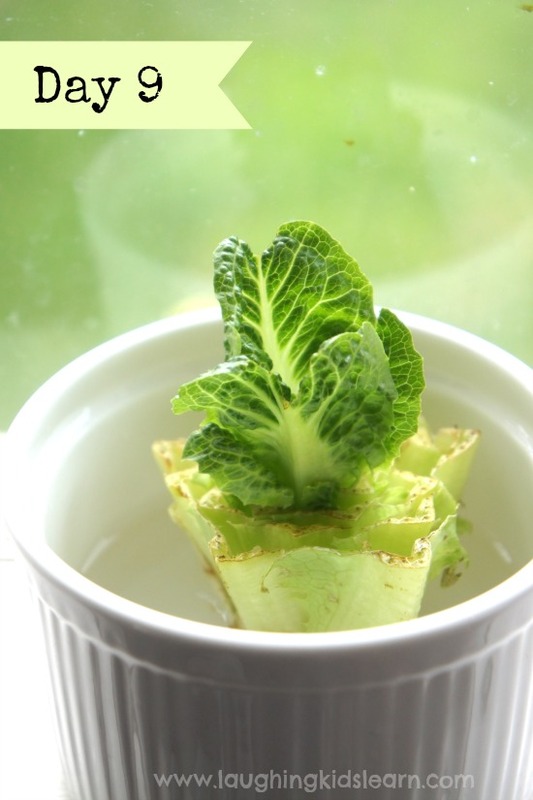 that i so cool and i love the idea of being environment friendly when reusing your lettuce. She is absolutely adorable!!! 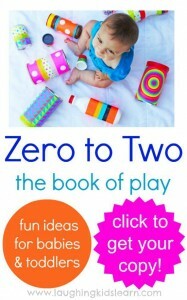 What a great mommy you are to introducer her to life in such a way!!! Wow! 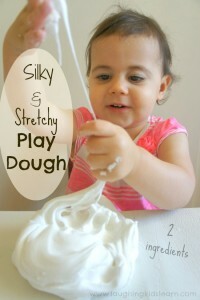 what a great way to teach the kid.Let me try the same with my son. 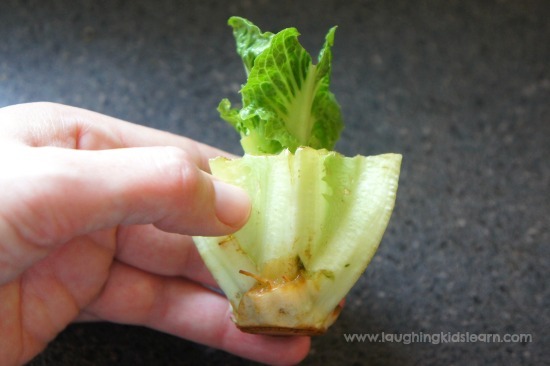 I tried this with the stalk of Romaine lettuce. Within 3 days my little lettuce plant was about 2 inches tall. I put it in a shady spot on the patio and changed the water daily. Marilyn that’s such wonderful news. 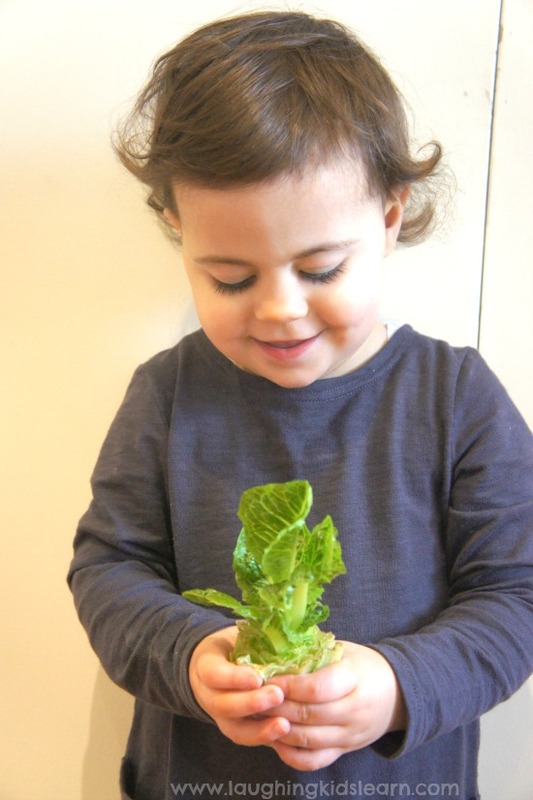 It’s a really great science activity and gets kids really into growing plants. Thanks so much for your feedback. You’ve excited me to do this one again.